On August 24th 1875 – Captain Matthew Webb slipped into the water at Dover, England and 21 hours and 41 minutes later touched land at Cape Griz Nez, France, becoming the first man to conquer the English Channel. 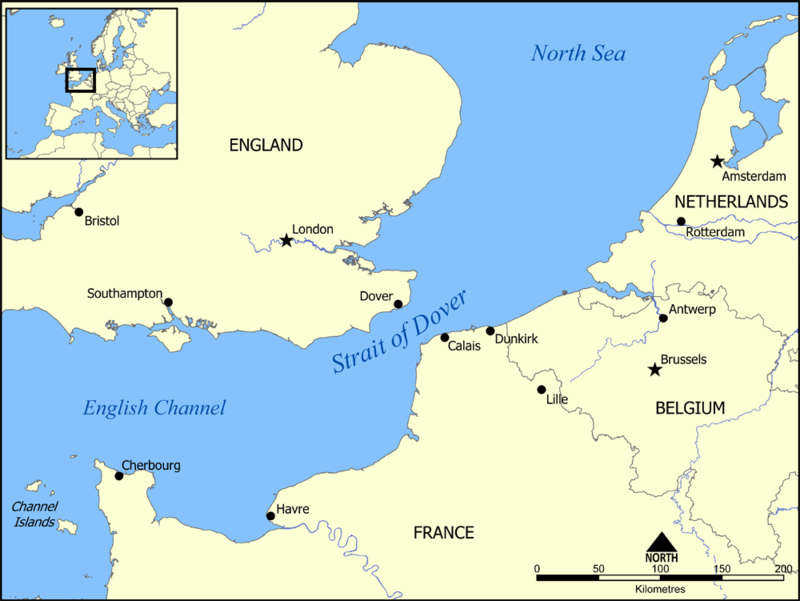 The English Channel is a unique and demanding swim, considered by many to be the ultimate long distance challenge, and often called “the Everest of swimming”. •	Distance – A typical channel swim will be 25 miles (40km) and will take 12 to 15 hours on average. That’s the same as swimming 1,600 lengths of a swimming pool. •	Water – The water is cold. Temperatures range from 15 to 18 degrees Celsius – the same temperature as a cold bath. This is by far the biggest reason that an attempt will end in failure. •	Shipping Traffic – There are over 600 commercial ship movements, plus 80 to 100 ferry crossing a day in this area. To successfully swim from England to France, swimmers must cross these shipping lanes. •	Hypothermia – The normal body temperature is 98.4 degrees F. Hypothermia develops when the body temperature falls below 95 Degrees F. Moderate hypothermia can usually be reversed and a complete recovery made if it is recognized and treated quickly. •	Feeding – The most common pattern is hourly feeds for the first 2 hours and then ½ hourly feeds for the remainder of the swim. Prepare for a bad patch half way thru when the body starts to convert its own fat to energy. •	Grease – any type of grease is permitted, but the most common (my favorite) is a mixture of Lanolin and Vaseline. This is applied to the areas of your body where heat loss is most prominent, and also for the prevention of chaffing. •	Hazards – the Channel has quite a lot of rubbish such as seaweed, timbers, oil, tar, plastic bags, pallets, fridges and floating timber. •	Fish – observers report seeing shoals of fish, seals, turtles and dolphins and there is always the remote possibility of sharks, swordfish and whales, all of which are seen from time to time in UK local waters. •	Mental Attitude – will power is needed to push thru the mental barriers that never go away. A split Channel swim two or three weeks before your crossing is an ideal way to mentally and physically test yourself, i.e., do a 7 hour swim one day then do a 6 hour swim the next. First woman crossing – Gertrude Ederle on August 6, 1926 in 14 hours and 26 minutes. Record time – 6 hours and 57 minutes by Petar Stoychev on August 27, 2007. 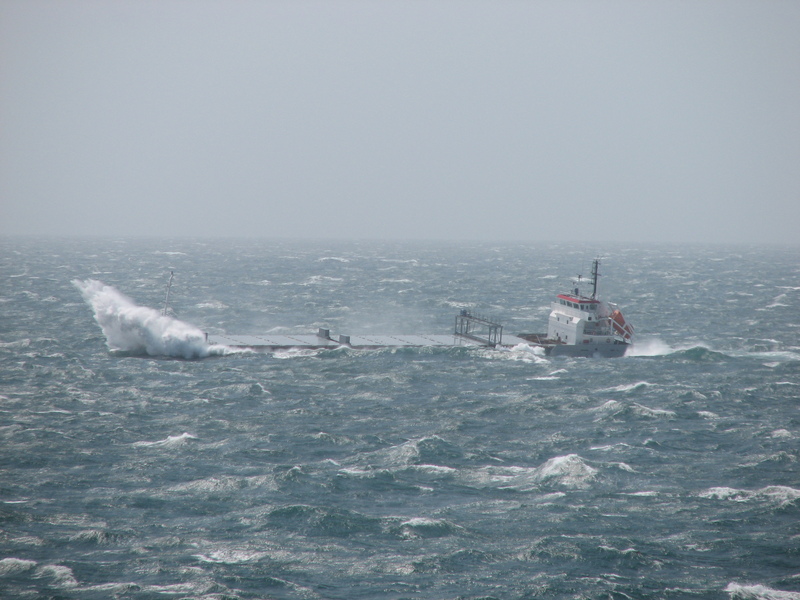 Queen of the Channel – Alison Streeter with 43 crossings. King of the Channel – Kevin Murphy with 34 crossing. Successful swimmers – 1012 (2008). •	Tides – swimmers end up swimming in an S-shape or Z-shape as the tides push them in one direction at the start of the swim and back in the other direction when the tide turns. As a result, most swimmers end up swimming between 26 and 30 miles (42-48 km) rather than the 21 miles “as the crow flies” distance. These tides can also decide the success or failure of a swim-many people have come within a mile of France to be swept back out by the tide and faced with the possibility of having to swim another 6 hours or more, an effort which may just be too much after already swimming for 12 or 13 hours. Hypothermia is another big problem-even at the top end of the temperature range, the temperature is still at least 10°C colder than most indoor swimming pools. The weather on the day decides whether the swim can proceed. Wow!! Who knew that you would turn out to be such a great writer. ( Also great swimmer, brother, uncle etc.) I look forward to following you in the blogosphere and in real life. hey bro, I know you are leaving soon but can’t recall all the details. Maybe its time to post a note about when you leave, how long you are going to spend adjusting to Europe and what your window of opportunity to cross the channel is date wise. GO Rod GO . We know you can make it. Hi Rod, You may be swimming as I type this… Tuesday July 20th…what an unbelievable challenge! Thinking of you – and wishing you a successful crossing. I look fo rward to hearing all about it. CONGRATULATIONS Mr. Craig! You have completed what few have done. Fantastic! There are several of us looking for confirmation as to whether the rocket has landed. Brent updated us this morning with approximately 3 hours to go. Let’s go Rod! Well done, Craig!!! We knew you could do it ! Inspiring !! Hey, your news is spreading fast. You are pretty much at rock star status in Vancouver. Do you have dark sunglasses? Nice going … I’m your cousin, Ian’s daughter and I swim too & coach… I just did my first open water swim of the year here in Ottawa (Meech Lake) & you quite obviously put me to shame! Congrats – very cool! Rod you are inspiring. Thanks for sharing the adventure we have loved following your journey.